We’d love your help. Let us know what’s wrong with this preview of The Earth Painter by Melissa Turner Lee. But they The Sculptor was alone. The world was gray, as it always had been. To ask other readers questions about The Earth Painter, please sign up. SPEECHLESS !!! That was the first reaction i had or rather the state i was in after i finished reading this book . Words cannot describe the feeling stirring up in me . If a painter could paint using words instead of colours , then this book would be called a " Masterpiece" and Melissa Turner Lee could be considered the exquisite painter of this fine work of art . Cover-speak : Honestly , the cover says it all .. No questions asked , it clearly and descriptively gives us an idea as to what a rea SPEECHLESS !!! That was the first reaction i had or rather the state i was in after i finished reading this book . Words cannot describe the feeling stirring up in me . If a painter could paint using words instead of colours , then this book would be called a " Masterpiece" and Melissa Turner Lee could be considered the exquisite painter of this fine work of art . Cover-speak : Honestly , the cover says it all .. No questions asked , it clearly and descriptively gives us an idea as to what a reader can expect from this book . But the surprise bit lies in the intensity of the contents of the book . Totally not cliche , totally unexpected . The Earth Painter is the story of Holly Scruggs , a girl who constantly lives under the shadows of her parents . What does that mean you ask ? Well , she basically lives her life the way her mother wants her to live giving little or no importance to what she wants or how she wants to live her life . Her likes and dislikes dont matter as long as it suits the lifestyle her parents choose to live . Until the day she meets Theo . Something changes inside Holly the day her life crosses paths with this mysterious yet intriguing stranger in the school's auditorium . What follows is a rollercoaster ride filled with secrets , twists and turns . Theo is'nt just an ordinary guy . He's a painter . And not just any painter , he is the painter of the earth . The guy responsible for painting life on earth . mind you , these ar'nt unknown elements . They are very well known and probably stuff's we study in schools and colleges !! * That's a major spoiler , if you can guess what i mean * ..
2) Emphasis on reality : Even though this book is a supernaturally based romance , it had a lot of elements that reflect the different kinds of 'truths' prevalent in the modern society . Abusive relationships , Peer Pressure etc were a major part of the storyline . Also sometimes we look at certain things or objects and wonder , why is it that this has been made this way or what was the purpose of making something the way it is found to be . Well i can definitely say that some of those questions were answered in this book . and completely unheard of . Never ever have i read a book that speaks of earth painters , sculptors and sciences . Hats off to the author and her creativity . 5) The beginning of a new story : The way the book ended just left me wanting for more . I really wanted to know what had happened or what had triggered those changes . The author cleverly manages to hold the interest of the reader by throwing in a startling revelation in the end . Thereby creating an enticing stroryline for the sequel . I just cant wait to read it . I was given a copy of The Earth Painter by Melissa Turner Lee to read and review. I was immediately captivated by the title. THE EARTH PAINTER...... I found the whole concept that someone had painted the earth enchanting!!! Holly the main character is dealing with the pressures of a controlling mother who is all about the superficial. And Holly plays along... Until she meets Theo, The Earth Painter, and he makes her see herself differently. Theo is cute and caring, and that smile and those dimpl I was given a copy of The Earth Painter by Melissa Turner Lee to read and review. I was immediately captivated by the title. THE EARTH PAINTER...... I found the whole concept that someone had painted the earth enchanting!!! Holly the main character is dealing with the pressures of a controlling mother who is all about the superficial. And Holly plays along... Until she meets Theo, The Earth Painter, and he makes her see herself differently. Theo is cute and caring, and that smile and those dimples!!! *Sigh* Holly's Character develops and grows throughout the book as do her feelings for Theo. And through all of that they join together to fight the obstacles that they encounter along the way. I loved the support characters associated with Theo and they were like nothing I had ever read in any other book. Once I started reading The Earth Painter I just couldn't put it down!! My only complaint is that I have to wait for the next installment. I can't wait to see where this story goes!! “The Earth Painter” was a captivating and original fantasy novel that I couldn’t get enough of. Holly Scruggs is a very intriguing heroine that has a lot of depth. She isn’t one of those whiney characters who can’t even think for themselves. She is real and deals with problems that lots of people her age can relate to. Theo was really the heart and soul of the book for me. So mysterious and his true nature is really very imaginative. His character was so full of wisdom and he still grew further a “The Earth Painter” was a captivating and original fantasy novel that I couldn’t get enough of. Theo was really the heart and soul of the book for me. So mysterious and his true nature is really very imaginative. His character was so full of wisdom and he still grew further as the book progressed. I cannot wait to hear more about his story in future books. The author expertly weaves reality with fantasy and makes a profoundly intriguing read that has you thinking about it days after you have finished it. Get lost in this enchanting new world check out Melissa Turner Lee’s “The Earth Painter”. I guess I am going to be going against the grain here by saying that I didn't really care for this ebook. I wanted to. It seemed like an intriguing idea for the plot. It was well liked by all those who have read it, but it didn't work for me. Maybe I'm in the wrong demographic for this one. It is the story of a girl in her senior year of high school who starts in a new school when her family moves back to their hometown after dad loses his job and has to begin anew. Holly is a typical self-consc I guess I am going to be going against the grain here by saying that I didn't really care for this ebook. I wanted to. It seemed like an intriguing idea for the plot. It was well liked by all those who have read it, but it didn't work for me. Maybe I'm in the wrong demographic for this one. It is the story of a girl in her senior year of high school who starts in a new school when her family moves back to their hometown after dad loses his job and has to begin anew. Holly is a typical self-conscious, shy, and hesitant high school student who keeps herself withdrawn from the others in the school at first. But then while attending a theater class that she had no desire to attend she sees a boy by himself who is ignored by everyone around him. When she questions the teacher to know why she has not included this boy in their theater exercises the boy realizes that she can see him -- the only human to ever be able to do that. Theo is a painter, one who was tasked with painting the world in order to create it. He did not create humans (that was a job for the Sculptor), but he created the beauty of the world in which humans live. Holly and Theo seem to have an instant connection. Holly can feel it, but apparently Theo cannot. It isn't that he doesn't feel drawn to Holly. He just doesn't feel emotion like humans (supposedly). Holly is now in a pickle because she finds herself falling for this boy who can never fall in love with her. She should move on, but Theo is the only "person" who has ever inspired Holly to live to her full potential. He makes her feel talented and beautiful and able to do whatever she turns her mind to do. But he is essentially a place holder in her life. She can never move on to anything more in this relationship. Frustrating, I'm sure. I won't get further into the plot. I'll just share my thoughts about what didn't work for me. First of all there was the villain, Fritz. He never worked as a villain for me. I could never truly understand why he was so upset with Theo or Holly. His motivations were hazy at best, and for that reason I never really feared him as a character. He seemed to exist simply as a method to introduce some sort of tension into the plot. I felt the same way about Holly's "friend" who turned out to have a wicked mean streak in her. Why in the world did all of that occur? It didn't seem to lead anywhere or really get resolved at the end of the book. The pace of the book was choppy as well. There were times within chapters where scenes abruptly changed without much warning. Holly is speaking with her parents, heading to her room, and magically in the next sentence she is waking up the next day. It was a bit jarring as I read. I think that if there was an extra space added between these scene changes within chapters it would have been easier to flow as a reader. Outside of those obvious problems with pace there was a general choppiness that kept the story from flowing smoothly. I felt ripped from scene to scene rather than gently easing into them. I never got really invested in Holly and Theo as a couple. It wasn't just because of the obvious difficulties that they were facing because of Theo's apparent inability to truly feel anything. It was because they were never given enough time to gel as a couple. There were moments when I could feel the pull as they opened up to one another emotionally. I could see that these two had some sort of special connection and needed to find a way to be together, but as soon as the feeling came the scene would abruptly end, so the feeling ended up being fleeting. The best moments for these two came while they were painting together. Those scenes were magical and well written, but they were too few and far between. More scenes like that would have better shown their connection to one another. And then there was the ending. I have to say that I guessed the connection between Holly and Theo by halfway through the book, but I was really hoping that it would be revealed in a much more dramatic way. I can't say more without spoiling it. I just wanted more. To be honest, I'm still not exactly sure what happened at the end of this book. I shouldn't be finishing a book with a question mark in my head. What happened to everyone? I still don't know. I don't know why things happened as they did. Was Theo punished or simply hurt? When did that happen? What is up with Fritz and his master plan to destroy the world? And there still is Holly's "friend" and her "boyfriend" roaming the earth causing havoc I'm sure. It wasn't a cliff hanger type of ending for me. It was a frustrating ending. There wasn't a glimpse at all of a happy ending -- but there really wasn't a sad ending either. It just was an ending. There is an element of the spiritual that is kind of nice. It isn't over the top or preachy. I can see that there might be more exploration of these themes in later books. This ebook was riddled with tons and tons of grammatical and spelling errors. That is not unusual with ebooks, but it still took me out of the story a few times. My review of The Earth Painter by Melissa Turner Lee is based on an e-book that the author sent me for review. The following is my honest opinion of the work. What originally attracted me to this story was the premise; it seemed so original, something unique and just so different from what I was used to. I loved the idea of the world being painted into existence; there's just something so magical about it. 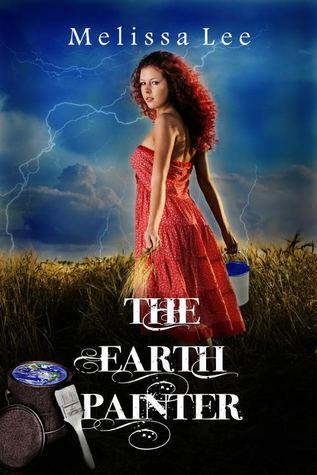 Between my love of a good origin story and young adult paranormal romance it seemed like th My review of The Earth Painter by Melissa Turner Lee is based on an e-book that the author sent me for review. The following is my honest opinion of the work. What originally attracted me to this story was the premise; it seemed so original, something unique and just so different from what I was used to. I loved the idea of the world being painted into existence; there's just something so magical about it. Between my love of a good origin story and young adult paranormal romance it seemed like the perfect read for me and I was thrilled to be offered the chance to read it by the author. What kept me attracted was the fact that instead of just summarizing, or giving snippets, of this spectacular origin story that she had created for her story of the world being painted by these brilliant Painters she actually told it through the characters giving glimpses through the various ones that the reader meets throughout the tale. It's such an original take. Holly was your average teenage girl; fighting with her mother, trying to find her way, and just generally trying to survive high school. I really enjoyed this change of pace. Not every heroine has to be drop dead gorgeous, brilliant, or spectacular in every or any way for that matter. Holly was just a girl trying to find her niche, which is something that I think we can all relate to. Theo was clueless. I adored him for this because not only was it cute it was so true to character. He was the painter of the Earth, not the people on it and therefore ignorant of their ways to some extent. It made for some interesting relations between him and Holly. Another plus for the author was that it wasn't instant love, or the typical good girl meets a bad boy [which you all know I LOVE] but is so common in any supernatural tale, rather it comes across rather one-sided as often occurs in teenage romances. Or in any romance for that matter. I can see the groans now from those of you that read the story's summary as it says clearly that it is a Young Adult Supernatural ROMANCE and I just said it was one-sided. Confused yet? Mystified? All in good time, and all the more reason to pick up the book and find out where it comes in! I was given a free copy of this book for the blog tour. Thank you! General Opinion: I have to say that…. I LOVED THIS BOOK!!! It took me by surprise, honestly. I didn’t expect to like it so much! What I liked the most: I haven’t read read such a fun book in ages. It’s easy to follow and VERY unique!! I’ve never read a book with a painter as a paranormal creature before. And this is not the only different thing. There is a love story, but it’s SO different. I had to wait until the end for a kiss th I was given a free copy of this book for the blog tour. Thank you! What I liked the most: I haven’t read read such a fun book in ages. It’s easy to follow and VERY unique!! I’ve never read a book with a painter as a paranormal creature before. And this is not the only different thing. There is a love story, but it’s SO different. I had to wait until the end for a kiss thing that I appreciate. Holly is not the pathetic girl that falls in love with a boy and speaks just about this with big words. This is more of a YA novel than a paranormal novel. The book concentrates a lot on normal problems that every teenager has. Problems with parents, friends, society, school and love. I love the complexity of this book! Other good things: Omg I loved Holly! Thought in the first chapters she annoyed me because she wouldn’t say a bad word to anyone. But when she decided that this was her life and she has to take her own decision, she became my hero! She said everything I would say in her situation and I admired her for this! This book has everything. Paranormal, action, emotions and it’s face-paced which makes it very easy to follow and read. ‘The Earth Painter’ hooked me from the first page so I read it very fast: in just 2 days. The language is specific to a teenager. Not too complicated or elaborate neither too childish. What I disliked: Honestly, there was a character that made me wanna punch my Kindle: Holly’s mother. UGH, I hated her! She did everything just to look good.She wouldn’t allow Holly to take her own decisions which made me wanna scream at her. UGH! Final Opinion: Again, I loved this book! It’s so easy to read and so fun,captivating and lovely that I couldn’t put it down! Definitely one of my favorite reads this year!! I recommend it to everyone! ‘The Earth Painter’ is an amazing love story and fantasy! I recommend it to: Absolutely E.V.E.R.Y.O.N.E.! Would I read it again: Of course!!! Do I want to read the sequel: YES! I do!! What an unusual book…I was intrigued when I read the blurb about The Earth Painter. As I started the book and was introduced to the characters, I immediately felt a kinship with Holly. Her plight was heartbreaking…fair-skinned, red hair, freckles and shunned by her mother at every turn for her looks. In fact, her parents and everything they do aren’t just an embarrassment to her, their life is a sham. Her mom spurns her and cuts her down over and over…whew, it was hard to read those parts. At sch What an unusual book…I was intrigued when I read the blurb about The Earth Painter. As I started the book and was introduced to the characters, I immediately felt a kinship with Holly. Her plight was heartbreaking…fair-skinned, red hair, freckles and shunned by her mother at every turn for her looks. In fact, her parents and everything they do aren’t just an embarrassment to her, their life is a sham. Her mom spurns her and cuts her down over and over…whew, it was hard to read those parts. At school, Holly gets stuck in a drama class and notices a boy sitting on the stage, alone. After striking up a conversation with him, he seems surprised she wants to talk and even compliments her, which she finds surprising. As the days pass, she learns more about him and keeps bumping into him in unusual places. One of the places where she sees him is a restaurant, where he’s painting a mural. As the story is revealed to us, Theo explains he’s one of three painters able to create worlds. Their mutual attraction is frustrating since he’s otherworldly, while she is human. At the same time, he’s drawn to helping her with her mother’s overbearing attitude and solve a mystery at their high school involving a tainted water well. Wow where to start, Melissa Turner has written a unique and fascinating story about how our world was created. When the Sculptor decided it was time for the beginning of Earth. He created 3 painters one for the sky one for the ocean and then one for the land but what happens when there’s nothing left to paint and you are left alone with only the sciences for company? Holly Finds herself starting a new school. When she gets put into drama class (Not where she wants to be) she notices a boy sitting Wow where to start, Melissa Turner has written a unique and fascinating story about how our world was created. When the Sculptor decided it was time for the beginning of Earth. He created 3 painters one for the sky one for the ocean and then one for the land but what happens when there’s nothing left to paint and you are left alone with only the sciences for company? Holly Finds herself starting a new school. When she gets put into drama class (Not where she wants to be) she notices a boy sitting on stage, but no one else seems to. She finds out that Theo is an immortal who painted the land into being. When another painter who turns out to be not so nice targets Holly, will she survive to find a way to be with Theo or will she lose him forever? What a refreshing read, The Earth Painter is so different from most paranormal romances. I could not put this book down, and the ending!!! Oh man where is book 2. I loved the characters; they were strong, loving and willing to do anything to help one another. I also loved the sciences they were really fun to read about I think my favorite has to be Bio! I would defiantly recommend reading this book! The book had a very intriguing story line. Every night I read the book couldn't put the it down. I LOVED the characters, they were excellent. Holly is the kind of girl I want to be best friends with! And Theo, well Theo is just perfect! I can't wait for the next book to come out so I can continue my journey with the characters I have come to love. 4.5 Stars! I loved the story, the characters, and the issues as they were introduced in this story. The concepts were original, but done in such a way as to be familiar at the same time. Even though I was given a Kindle Edition Advance Reader Copy, I bought a paperback version of the book to give to a teen that I mentor! I really love the way this book was written and the concept of the painters, the sciences, and the sculptor was really refreshing. I fell in love with Theo and his situation there at the end, and I promise that I'm not going to give any spoilers away, but I love how his painting was "found" I can't wait to read the next! Loved the characters, the story, everything about it. Can't wait for the next one. Bravo, Melissa Lee!! Holly is a self conscious freckled redhead who is just entering her senior year of high school in a new school. After her father loses his job they move back to Chesnee SC, the hometown of her parents. Her mother is the bubbly brunette prom queen from the past and Holly is everything her mother is not. Her father is a laid back car salesman and her Mother is very image conscious and she acts as if everything revolves around her. Holly would like to be invisible and just get through her classes a Holly is a self conscious freckled redhead who is just entering her senior year of high school in a new school. After her father loses his job they move back to Chesnee SC, the hometown of her parents. Her mother is the bubbly brunette prom queen from the past and Holly is everything her mother is not. Her father is a laid back car salesman and her Mother is very image conscious and she acts as if everything revolves around her. Holly would like to be invisible and just get through her classes as soon as possible. Then she finds out she is scheduled for a drama class and she becomes very stressed over this. She goes to her class and tries to hide in the shadows but get picked first to tell the other about herself. When the teacher misses one of the students Holly points him out thinking to herself that he isn't going to going to get away with hiding when she couldn't. The boy came to Holly and told her his name was Theo and that nobody ever noticed him and he asked her how or why she had noticed and wanted to know if he had done something that drew her attention.when she told him he hadn't and that she had just seen him he was awed by that. Holly started to make a few friends at school but none like Theo. She made one friends, a girl named Shelby, whose grandmother lived next door to her parents. Shelby offered to give Holly a ride back and forth to school and Holly thought that was great then she got a job where Shelby worked. Shelby had asked Holly to cover for her a couple times as she wanted to go hang with her boyfriend and her mother didn't approve so Holly had agreed. The friendship was great and they got along good but Holly didn't like that Shelby's boyfriend had hit her. She told Holly he was very sorry and they had worked it out but Holly still wasn't convinced and told her she should stay away from him. Then they had gone out again and Holly was going to hang with Theo while Shelby was hanging with her boyfriend then they were going to meet back up and go shopping. When she met back up Shelby was crying and her face was all busted up. Holly asked her what happened, Shelby asked her to help her smash up her car and tell her mom and the police that she had an accident. Holly told her no way , That her boyfriend deserved to be in jail for what he did. Shelby told her she caused it, that she hugged an old friend. Holly was shocked and refused to cover this time so Shelby told her to get out of her car that their friendship was over. While hanging out with Theo Holly found out he is an immortal. That he is a painter of the Earth, and what he paints becomes real. They start finding out information about the well water at the school and that there is a mineral in it that is special. After a while Theo introduces Holly to some of his friends who are also immortals, some of them do not approve of Theo and Holly being friends and some are surprised that she can see them. They find out that the immortal named Fritz was trying to destroy the well because of its special properties and what it could do for humans. Fritz hated humans and wanted to destroy them but the rest of the immortals were trying to save the humans especially Theo. The immortal named Bio convinced Theo that Holly had feelings for him and that by being friends with her was just making those feeling stronger and would encourage her to want more of a relationship from him. After drinking the special water from the well Holly was able to go into drama class and go through lines like she never thought she would be able to, so she was cast as the lead female for the fall play. Okay we all know paranormal is the big thing right now. Vamps, Werewolves, etc., etc. But it is so rare to see something you haven't read before. This is one on those things. This whole "painter and sculptor" thing that was going on was just completely new to me and I loved it. But it wasn't completely focused on this paranormal thing going on, it also had real-life problems. The writing wasn't choppy. I liked the pace. It was set so that you didn't feel like you were waiting and waiting and waiting for it to get to the point. But it also wasn't so fast that you were constantly confused. I also really liked how she thought out all of these myths and stories so that when you read them, they sounded like it was an actual view on how the world was made. There was a good higher up boss-man (the sculptor), his three painters who made everything in the world by painting it, and their assistants. There were also the sciences (Gio, Bio, Chemistry, Astronomy and Physics) to help make everything the painters made go wrong. But don't worry, everything wasn't all Disney-land perfect. One of the painters went bad and he's kind of the "devil" of the story. I loved how she could make me believe what I was reading and make me feel completely engrossed in the book. Like I said, the pace was good. Which is an important part of the plot. The plot was also realistic enough to not get boring or annoying. Like, she was fighting to keep the well at her school running (realistic) because it had a magical chemical in it to help people find their true calling (paranormal). That compared to the plot being some girl falls in love way to quick (realistic) so she fights dragons and rides unicorns to be with him (Fail-tastic annoyingness(Sorry but I had to make up words to describe how much I hate that)). It also had other important things going on like her relationship with her mom, her family's financial issues, and her friend's abusive boyfriend. It's always good to have some sub-parts of the book just so that more people can relate (but we can all relate to wanting to ride unicorns, right?). Oh, man I really hated her mom. I mean, I know you're supposed to hate her but really she was absolutely wretched. Theo was adorable, i think he has to take the spot of favorite character. I really liked how the main character, Holly, had a character arch and eventually stood up to her mom. But seriously, I could easily write five paragraphs on how much I hated the mom. That's another thing the author's good at. Making characters you love to hate. The romance was good, at first. (view spoiler)[Until you realize it's really only one sided. Awkward (hide spoiler)] But there really isn't much to say. As much as you think it's focused on romance at first, you realize in the end that you could take it out of the story and it still make sense. The Earth Painter is the first book in The Painter series of Melissa Turner Lee. It tells the story of Holly Scruggs, a self-conscious teenager who bury herself in books most of the time. She lives her life following the image that her mom wants her to project. After her Dad lost his job, they move back to Chesnee and Holly transferred to her new school where she met Theo. Theo is a painter and not an ordinary painter but one of the three painters who is responsible for painting the Earth and its original creative beauty. Lee created a masterpiece through The Earth Painter. She painted a unique fantasy novel full of authentic characters and unique mythology. Her writing is simple yet compelling. With her well described tales and vivid descriptions of characters and surroundings, and well paced plot The Earth Painter is a treat to read. Lee simply crafted a fascinating and fresh world through her version of how the world is created. The tale she weaved to describe how the Earth and everything in it exist is extremely unique and interesting. The idea that someone painted the Earth is definitely fascinating and clever. Through her characters she combine myth, logic and creativity in one. The way the sculptor, painters and sciences works is simply genius. It is easy to believe that the story behind them is actually true. I really appreciate the presence of scuptor in the story. Lee doesn’t give all the credits to the painters which simply acknowledge the existence of higher power. If the painters are responsible for the Earth, there is also someone higher responsible for the painter, sciences and human being. It’s like Painters are the designers, sciences are the engineers and sculptor is the ultimate boss. The characters were well casted as Lee offers different types and kind of people. There is a talented and well-rounded character in form of Holly, a mysterious and non-emotional Theo, a superficial and dominating mother, supportive father, psychotic ex-best friend, ever loyal khai-ree, and a science geek student who isn’t just fascinated with chemicals but also with the main character, Holly. There is also the representatives of different branch of science. Their presence as a characters offers more fun & originality to the story. Imagine meeting Astronomy, Biology, Chemistry, Geology and other branch of sciences as characters whom you can chat and play cards with. I like the way Lee developed Holly’s character. You’ll definitely see growth in her. From being a lonely & self-conscious to a responsible and brave teenager. The way she handles the issues with her mother, Shelby and even Fritz is very mature. She knows when to fight back and when to simply accept defeat. She also learn how to stand up for her wants and not just be the perfect daughter that her moms want her to be. JOIN THE BLOG TOUR! Be at Behind A Million And One Pages on 9 May for an exclusive review and interview with Melissa Turner Lee. Starting out strong, we learn about Holly's life as it is. We start where she starts in the novel and we constantly grow with her. Her mother's controlling nature falls onto us as well, as we start to realize how controlling she is and we react with Holly. We start relating to her, act as she would act, do as she would do. We get so caught up in this book, turning page JOIN THE BLOG TOUR! Be at Behind A Million And One Pages on 9 May for an exclusive review and interview with Melissa Turner Lee. Starting out strong, we learn about Holly's life as it is. We start where she starts in the novel and we constantly grow with her. Her mother's controlling nature falls onto us as well, as we start to realize how controlling she is and we react with Holly. We start relating to her, act as she would act, do as she would do. We get so caught up in this book, turning page after page after page. The story is just so unique, something so new and unexpected, that we can't help but naturally want to know what happens to Holly and with her dilemma with Tom. We start to feel for her, with her troubles at home and how unaccepting of her true beauty. Although, we are set in this day and age, we are captured in this new world of theirs. Theo's world and the Sculptor's world. As Holly, becomes friends with Theo, we see her change from the shy, slightly girl into the confident young woman, who expresses herself as well as is confident in herself. We see this mainly over her mother, Heather, a controlling ex-most-popular-girl-in-the-school/universe-blah-blah-blah. All new ideas, yet old ideas were brought into a new light. We see some things in this novel, that we wish were here as they were in the story because we think of how life would be so much easier. Overall, we just relate our life straight back to the novel, it captivates us that much that we feel the need to compare it to our world. Ultimately as the novel went on, I want Holly to end up with Theo, you can see it might happen. HOWEVER! I should not expect it to be like many other YA novels, where the love that cannot be, will find a way to be. No, I should've known that from this novel's unique perspective and plot that this was not going to be the same kind of love ending for the characters. No, no, the ending shocked me. It fits oh so well together, yet leaves you wanting so much more details. Yes, we are told everything about it throughout the novel, as well as get another recap when we find out. I completely underestimated this novel and it's comparison to others and their love woes. We start thinking about the most bizarre things, because of what this book brings our mind to. We start thinking "why" for everything. Why do we need this for, or why is this like this, or why does this have this? A complete and total mind-blowing sensation. I really didn't know what to expect out of this book.I got more than expected.I was a lovely read that really made me think about some issues that teens face.Along with that,it also is a story of love.Underneath that, it is a story intertwined with a world fantasy like no other. Holly has just moved to Chesnee,SC.Here she meets a few friends,some of those friendships will grow,some will be broken,and some may turn into more.Holly starts out as beaten down,low-self esteem teenager who just wants I really didn't know what to expect out of this book.I got more than expected.I was a lovely read that really made me think about some issues that teens face.Along with that,it also is a story of love.Underneath that, it is a story intertwined with a world fantasy like no other. Holly has just moved to Chesnee,SC.Here she meets a few friends,some of those friendships will grow,some will be broken,and some may turn into more.Holly starts out as beaten down,low-self esteem teenager who just wants to blend in to the point of invisibility. However,Anthony,Theo,and Wayne won't let her.They befriend her,which makes things a little easier and a little harder. Meeting Anthony helps because he makes sure she doesn't eat lunch alone.Holly eventually meets Anthony's mom,who is a key to helping her fight Fritz. His mom also helps her find her a purpose that gives her an idea what she wants to become in the future. Wayne is a geek who loves role playing and science of all kinds.One of his experiments to try figure out the school's water problem leads to a great discovery.This sends Holly on a mission to save the water well,which infuriates Fritz. Also Wayne makes Holly uncomfortable because he has feeling for her that she does not reciprocate,her feeling are for someone else. That leads us to Theo,who is an earth painter.He has hung around the high school observing humans for decades out of boredom due to his purpose already being fulfilled.No one ever sees him,which is good because he isn't allowed to draws attention to himself from humans.Except for so unknown reason,Holly sees Theo. They develop a bond that goes beyond friendship but Theo is doesn't feel the way humans do,which leaves them with dilemma. Oh and I guess you wondering who Fritz is.Well is was a water painter but he did some questionable things after the Sculptor made humans.He detests humans,so he goes around ricking havoc by whispering negative and evil things into the ears of humans.Going against him could prove to be fatal. Yes,I know this review kind of long but this is the last tidbit,I promise.I just want say I know Melissa's work has Spiritual undertones so I tried viewing the character this way.I don't know how she intended it,but I viewed The Sculptor and God,Theo and the friends(the sciences and space painter) as Angel,and Fritz as the devil. Of course it is up to you to determine how you view them,my view may be flawed due to the ending.I still trying to figure that one out.Guess it is time to read Book 2. The Earth Painter is absolutely a book in its own unique league with a delightful and memorable story as well as characters that will forever be imprinted on a reader’s heart like mine. I was pleasantly surprised by how intriguing the story concept was that automatically got me think of angels as well as God. I couldn’t even dismiss the spiritual elements this story possessed at every angle. Seriously, the idea of a wicked unseen being whispering words of failures, doubts and anxieties into one’ The Earth Painter is absolutely a book in its own unique league with a delightful and memorable story as well as characters that will forever be imprinted on a reader’s heart like mine. I was pleasantly surprised by how intriguing the story concept was that automatically got me think of angels as well as God. I couldn’t even dismiss the spiritual elements this story possessed at every angle. Seriously, the idea of a wicked unseen being whispering words of failures, doubts and anxieties into one’s ear sounded too tangible to be ignored. Therefore I should say that I absolutely understand how Holly feels when she looks into the mirror while Fritz is whispering bad words about her and that she almost becomes depressed. Her situation reminded me of all temptations that tested our inner strengths and faith. Somehow, I’m glad that Holly didn’t succumb to her fears and insecurities. On top of that, Melissa Lee did a great job in developing her story. The plot was mellow yet full of twists and drama. I also liked the fact that she featured one of the biggest issues young women have to face and that is abusive relationship and violence against women in her story. I didn’t expect that in this book considering the title, blurb and all that but still it was certainly worth mentioning. As a main character, Holly seems relatable and likeable. She is living under her mother’s rules and scrutiny where everything has to be perfect and almost can’t stand up for herself. Sometimes, I found myself feeling sorry for her whenever she gets bullied by her mom regarding her appearance. But thankfully there’s Theo who brings out the best in her. Theo is undeniably adorable despite his ignorance. I don’t have to necessarily understand the unlikely chemistry between Theo and Holly; still it would be a whole lot of fun if rules were broken in terms of their relationship. Besides, what are rules made for? As a whole, this book had made me want to care more about Earth in general and look deep into my own spiritual life. I may sound a bit exaggerating here but it’s true. I don’t want ‘Fritz’ to ever whisper into my ears but then again how am I going to learn about myself if there’s no ‘Fritz’? My final conclusion: The Earth Painter, a must-read, hands down. I must say that after reading this exquisite, heart-wrenching story, I don't know whether to cry or be happy. This story put me somewhere between those two emotions. Although it may sound like I am unsure about whether or not I liked the story, I have to say that I truly loved it. It was a painfully beautiful story of growth and discovery, and I honestly hated to see it end. I sure do hope that the author takes the ending and weaves it into another brilliant story that will leave me once again b I must say that after reading this exquisite, heart-wrenching story, I don't know whether to cry or be happy. This story put me somewhere between those two emotions. Although it may sound like I am unsure about whether or not I liked the story, I have to say that I truly loved it. It was a painfully beautiful story of growth and discovery, and I honestly hated to see it end. I sure do hope that the author takes the ending and weaves it into another brilliant story that will leave me once again breathless and full of hope for what the future may hold. I was delighted at how Lee tackled a very important issue in this book, and that is how we deal with people pushing their expectations on us. While this issue is dealt differently with teenagers and tweens, it is still an important issue that even adults have to figure out how to handle. I have experienced this personally, and I really like how Lee portrayed Holly’s response to her mother’s unrealistic expectations. She tried as best she could to communicate with her mother that what her mother wanted just wasn’t who she really was. I absolutely loved seeing the change that Holly goes through from an unsure, highly stressed teenager to a confident, strong young woman who knew who she was and what she wanted. It was such a joy to watch her individuality nurtured and encouraged by those who truly knew and loved her. It is so very important and desperately needed that the young ladies in our lives be shown that they are beautiful, priceless, and important to us. We need to take an active role in their lives to encourage their interests and to listen to their problems. If we don’t, the alternative will not be pretty. After her father is made redundant, Holly Scruggs moves with her family back to her parents home town of Chesnee from Charleston. Starting at a new school is not easy and Holly is uncomfortable at making friends, so she reads her Kindle. When an error on her school schedule sends her to Drama Club, Holly is horrified. She notices a boy sitting on the stage, but no one else seems to. She finds out that Theo is an immortal who painted the world into being. When another painter targets Holly, will her world be shattered forever? I LOVED THIS BOOK! I had read this book prior to Melissa being published, and I still think this book is AMAZING! The story is original and looks at the creation of Earth in a totally different way. What if there was a sculptor who had created the world, but he was alone, so he created the painters to literally paint the world with life? I loved all the characters in the book. Holly is a teenager who has an overbearing mother and is always telling her that she is not good enough. Theo is the Earth painter, created to paint the plants and animals into existence. No one is supposed to notice the painters, but Theo is surprised when Holly can see him. I also especially liked Khai-Ree-Hloa-Theo, Theo's much put upon assistant painter. I felt sorry for him, because he had made one error long ago and Theo was still punishing him for it! Then there are the other painters, Fritz (Water) and Walden (Sky). The creator also made the Sciences : Physics, Chemistry, Geography, Biology and Astronomy. It's fantastic to have the sciences as people interacting with humans, who have no idea of their existence! It makes for extremely entertaining reading! The author is adept at characterization. Even the secondary characters are multi-dimensional. There's Holly's friend Shelby--she's both abused and an abuser. Holly's mother is unbelievably self-absorbed, but since I have had actual experience with a person like this, I realize it is unfortunately a realistic portrayal of someone with Narcissistic Personality Disorder. She loves her mother, but has learned not to expect anything other than scorn back in return. Unfortunately, her father is the cl The author is adept at characterization. Even the secondary characters are multi-dimensional. There's Holly's friend Shelby--she's both abused and an abuser. Holly's mother is unbelievably self-absorbed, but since I have had actual experience with a person like this, I realize it is unfortunately a realistic portrayal of someone with Narcissistic Personality Disorder. She loves her mother, but has learned not to expect anything other than scorn back in return. Unfortunately, her father is the classic enabler, leaving her to deal with her mother's subtle cruelty all alone. I really felt for Holly and was able to empathize with her frustration and sense of isolation. Is Holly repeating the same pattern in her relationship with Theo, where she does all the giving, but gets nothing back in return? Original and interesting concept. I enjoyed picking out underlying themes and hidden symbolism. I saw the "The Sculpturer" as symbolic of God. The Painters aren't angels, but the way they walk unseen among humankind, reminds me of them. Fritz seems demonic in the way he whispers negative thoughts into human ears. There's a deeper meaning under the main story and I enjoy picking out stuff like that, so high praise there. My only criticism is that the transition between scenes needs more attention. In a few places the change of time or place happened so abruptly it left me disoriented. A line break, or a sentence or two, preparing the reader for the transition would smooth things out. I wouldn't let this stop me from reading the book, because other than the infrequent transitional issues, it's well-written and easy to follow, not to mention entertaining and extremely imaginative. Earth Painter was different than I expected it to be, but in a good way. Somewhat allegorical, but not overtly so, the story centers around a teenage girl named Holly who is feeling misplaced when she has to move to the town where her parents grew up after her father loses his job. She is overly shy and has never felt like she fits in, partly because her mother, a former beauty queen and terribly selfish person, continually belittles her. Hollyis mortified when she realizes she’s been enrolled i Earth Painter was different than I expected it to be, but in a good way. Somewhat allegorical, but not overtly so, the story centers around a teenage girl named Holly who is feeling misplaced when she has to move to the town where her parents grew up after her father loses his job. She is overly shy and has never felt like she fits in, partly because her mother, a former beauty queen and terribly selfish person, continually belittles her. Hollyis mortified when she realizes she’s been enrolled in Drama class but it is there that everything changes. She discovers that theater is actually her calling in life and she also meets an attractive boy named Theo. There is something different about Theo, however, and she soon uncovers that Theo isn’t human. He is a ‘painter’ – one of three supernatural beings who ‘painted’ the universe into existence. Once the designs were approved by the ‘Sculptor’ (a metaphor for God) their creations were made to work by the ‘Sciences’ – personified beings who represent the natural forces that govern the universe such as Physics, Biology and Chemistry.People usually can’t see these supernaturals, but for some unexplainable reason, Holly can. One of the painters has gone rogue and is trying to destroy things for his own selfish gain. Holly, Theo and the othersupernaturals must try to stop him before it is too late. It’s already too late for Holly’s heart, however. In the process, she falls in love with Theo, but unfortunately, he does not have the capacity to love the way humans do. I enjoyed the clever use of personification and metaphors as well as the humor that came across in this book. It was well written and I would consider it to be a YA book since the main character is a teenage girl. I received this book as part of its promotional tour in exchange for a honest review. And…I don’t even know where to start with this review. The way it ended, just a few minutes ago for me, was heart-twingeing! The moment I finish writing this, I’m purchasing the second book. Both are only 99 cents for March, so maybe you should stop reading my review now and just go buy it. Buy them both. Skip your coffee Monday morning and buy these two for your Kindle instead. This is a I received this book as part of its promotional tour in exchange for a honest review. And…I don’t even know where to start with this review. The way it ended, just a few minutes ago for me, was heart-twingeing! The moment I finish writing this, I’m purchasing the second book. Both are only 99 cents for March, so maybe you should stop reading my review now and just go buy it. Buy them both. Skip your coffee Monday morning and buy these two for your Kindle instead. This is a different kind of paranormal/supernatural YA fantasy. Not a fang or a claw or a magic spell in sight. Instead you have the Sculptor and his painters and his sciences and humans. The characters were so relatable. I’m sure you’ll find instances in your own life that make you sympathize with Holly, understand her position about how to help Shelby even when Shelby doesn’t want help, those first flutterings of feelings towards someone, and learning something about yourself. I couldn’t put this book down as I just had to follow the story of Holly and Theo and the painters. The world Melissa Turner Lee created for us and the origin story is so vivid and sweet and different. I must say that I was a bit worried that it was going to turn out to be a proselytizing kind of book with an agenda when I realized Theo was giving us a creation story of sorts, but it wasn’t that at all. This is geared towards Young Adults and sometimes YA books are just too…YA-geared to be enjoyable to the adult reader. This is not the case here. Without being overly wordy, the world is painted for you quite clearly. It is vivid and rich in its realism with a touch of magic that comes from Theo and his science buddies and other painters. Really creative and interesting young adult book, but man, it needed not to end like that. Holly has a rough life. Her mother is a control freak, and her family had to move back home because both parents lost their original jobs. While attending school, she sees a boy painting that no one seems to notice. His name is Theo and he is an angelic being called a Painter. You see, when God created the world, he subcontracted the physical creation to three painters. Theo painted the animals and all nonhu Really creative and interesting young adult book, but man, it needed not to end like that. You see, when God created the world, he subcontracted the physical creation to three painters. Theo painted the animals and all nonhuman living things, Fritz the waters, and Walden space and sky. The Sculptor-God-made all the humans. Now that creation is finished more or less, the painters mostly hang out with the personification of the sciences, who establish the logical laws of creation. One day Holly sees Theo, and slowly starts to fall for him. But does Theo even have the capacity to respond? It's a very cool take on creation, and Melissa does a good job at essentially showing what an angel is really like-a man-shaped being who really isn't human. Holly also is well done as a teenage girl with real problems, and the sciences are memorable characters in their own right. It's a very different take on a paranormal romance, to the point where I'm not sure you can call it a straight romance but more like a fantasy. In the good sense, not in the sense of wish fulfillment. The only problem with the book is the ending. Without spoilers, it completely breaks the rules of painters and the world, and ends too abruptly for comfort. It's not bad at all, but there's tremendous implications that just get revealed in the last few pages. I mean, really tremendous ones that have staggering consequences for Theo, but for Holly more. Have you ever thought you would find the sciences of biology, chemistry, physics and geology personified? No? Try this book for size. A young adult paranormal romance with a refreshing difference. No vampires, werewolves or fairies for Holly Scruggs and her friends. Apart from it being an exhilarating tale full of excitement, suspense and a dash of humor, it also delicately deals with sensitive social issues faced by young people on a daily basis. Finding one's niche; and becoming what one is mea Have you ever thought you would find the sciences of biology, chemistry, physics and geology personified? No? Try this book for size. A young adult paranormal romance with a refreshing difference. No vampires, werewolves or fairies for Holly Scruggs and her friends. Apart from it being an exhilarating tale full of excitement, suspense and a dash of humor, it also delicately deals with sensitive social issues faced by young people on a daily basis. Finding one's niche; and becoming what one is meant to become, are key points in the story. “The Earth Painter” is not only a great book to relax with, but also implores the reader to deliberate on the issues addressed. Through superb writing, the author manages to invoke sympathy from the reader for the more unsavory characters, who in the end are also only products of their circumstances. Melissa Turner Lee displays amazing and highly imaginative creativity with this very unique theme and well thought-out plot. The characters are so down-to-earth and realistic, you feel as though you’ve made new friends by the time you’ve finished the last chapter. The vivid portrayal of real life events, as well as the fantasy world in this book, brings the story and the background against which it is set, to life. A fascinating story of Holly Scruggs, an ordinary girl in an ordinary world. There is something special about her though. Moving back to Chesnee S.C. after her dad loses his well-paying job, she has to deal with being the new kid and continuing to endure her ever so condescending mother- who shoots her down at every opportunity and never sees her as good enough. Holly’s realistic view of the world comes crashing down when she meets Theo-an Earth Painter. She’s the only one who can see him, and h A fascinating story of Holly Scruggs, an ordinary girl in an ordinary world. There is something special about her though. Moving back to Chesnee S.C. after her dad loses his well-paying job, she has to deal with being the new kid and continuing to endure her ever so condescending mother- who shoots her down at every opportunity and never sees her as good enough. Holly’s realistic view of the world comes crashing down when she meets Theo-an Earth Painter. She’s the only one who can see him, and he has helped paint the world into existence. Holly becomes the target of another painter, whose hate for humanity knows no limits and a psychotic ex-best friend who will stop at nothing to get revenge. I have to say that this is the most original mythology/world creation theory I have ever come across. I loved this book, it ran smoothly, the story telling was amazing and kept me very interested. I found myself wanting to hop back into the book and immerse myself with these genuine and colorful characters. I found Holly to be a strong lead character whose side I rooted on throughout the book. Her mother was so awful; I really wanted to shake some motherly instincts into her! Yet Holly is smart, somewhat naïve, but so incredibly likeable, I wanted to her to have her happy ending through the dangers that unfolded and the heartache that love sometimes can bring. Won this on Goodreads First Reads. Why I read: I saw it on the giveaways list and thought it sounded interesting, and I ended up winning it. What impressed me: A few things really. But the most important was how utterly original it was. maybe I just haven't come across any other books like this before, but really I never would have thought of any of what happens in this book. At first the idea weirded me out a bit, but It was so interesting i couldn't stop reading it. Theo I originally though was a Won this on Goodreads First Reads. Theo I originally though was a socially awkward creepy guy. But at the same time I liked him. He eventually grew on me so much that he's not in my list of top 10 favorite guys from books. I really could go on for ages about this book and how great the characters were, and plot line and etc. What disappointed me: There was a lot of punctuation errors. At times I didn't even know what was being said and what wasn't. And occasionally It felt like there wasn't enough details and characterization for minor characters. They came off a bit two dimensional. Recommended: Yes I do. I more people should read this book. Like really read it.